Have you gotten that painful first summer electric bill? Are you wondering how to bring that bill down but worried that making improvements to your home will cost more money than you’ll save in lower energy costs? Try these low cost ways to lower your cooling costs. The sun can add a tremendous amount of heat to your home both as it hits your roof and walls and as its rays pour in through your windows. To stop heat from flowing into your windows, be sure that you have them covered with blinds, curtains, or exterior awnings. Leave your blinds and curtains closed whenever sun is hitting that window — mornings for eastern-facing windows and afternoons for western-facing windows. Ceiling fans don’t help cool a room, but they do circulate the air and create a breeze. This breeze can make it feel five degrees cooler than if the air was still, and that lets you set your AC to a higher temperature. Just remember to turn the fans off when you leave the room because they don’t help when no one is around to feel their breeze. The ideal temperature setting for summer air conditioning is 78 degrees. Each degree lower can add at least one percent to your energy bill. You may also want to consider a programmable thermostat for additional energy savings when you’re away from home. 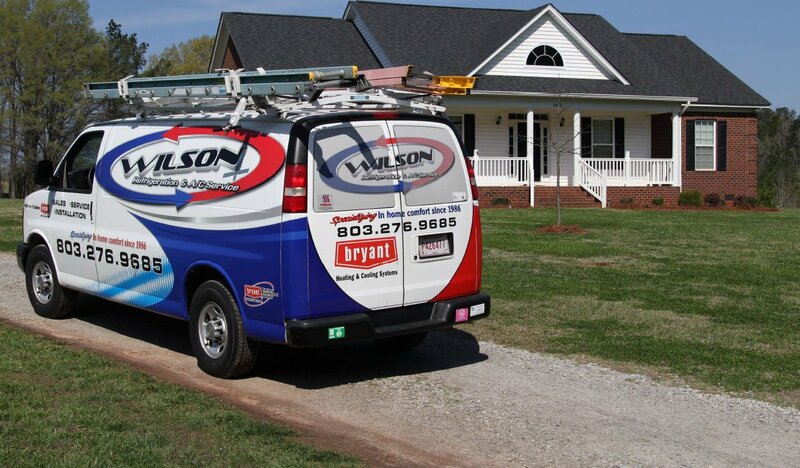 An annual preventive maintenance visit can greatly improve your cooling efficiency. Over time, your AC gets dirty and has parts wear down or fall out of alignment. Each small issue can add a few percent to your energy bill. If you’re spending hundreds of dollars per year on increased electric bills from summer air conditioning, the energy savings will far outweigh the cost of a tuneup. Are you ready to cut your cooling costs in the Chapin SC area? 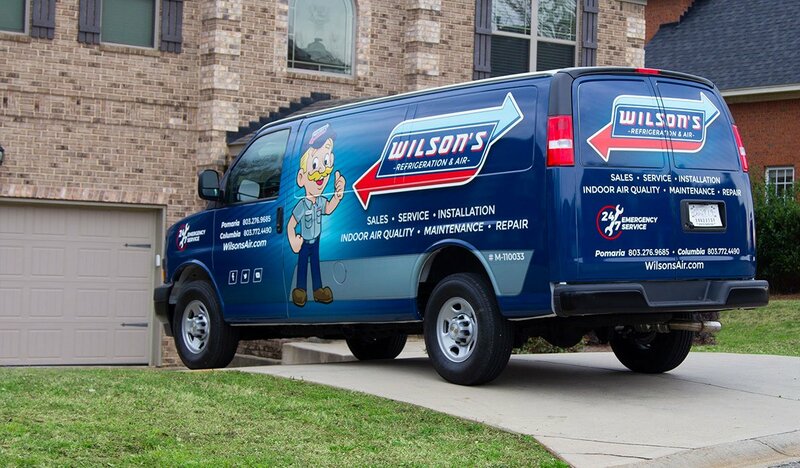 Contact Wilson Refrigeration and A/C Service. Our neighbors have depended on us for their comfort for over 26 years.